French wine regions and French wine lie at the heart of French culture. 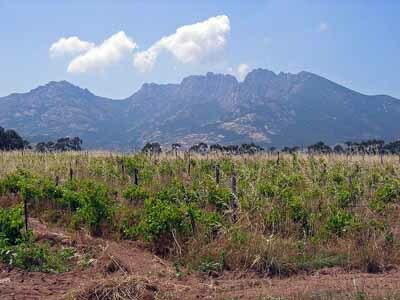 France has a long history of wine growing and production that dates back to the 1st century. French wine is consumed and is made to be consumed with meals. It is a compliment to your food. There are also specific types of wines to be consumed before and after meals. 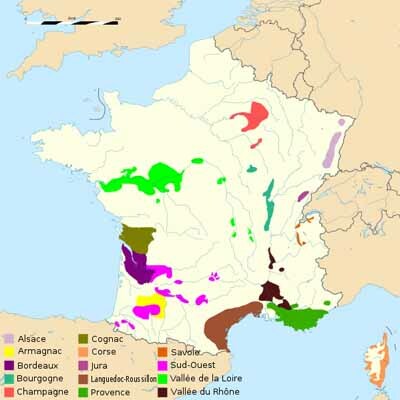 In France “appellation contrôllée” laws guarantee a wines origin and production methods. By contrast with California wine one can buy a wine from Napa but the grapes can come from Sonoma or elsewhere and it need not be labeled that way. In France if it is a mixture it is labeled as such. Located in southwestern France in the provinces of Poitou and Aquitaine. 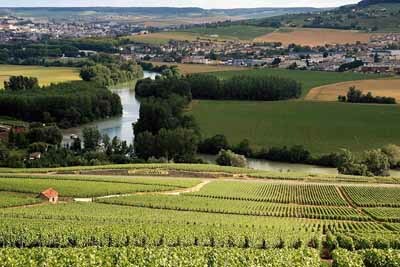 This is the world’s largest fine wine region and the largest region of vineyards in France. When we think Bordeaux we think fine wines. The vineyards began cultivation in the 1st century AD. The wine producers in the Bordeaux region are called Château. A château consists of a vineyard plus a building. The building can be a huge magnificent manor house or a shack. Médoc : 4,000 single vineyard (château) wines. Planting started in the 18th century. This French wine region offers a great opportunity for touring, either by bus or on your own. The Counsil des Vins du Médoc located in the city of Bordeaux has information and bus tours. Every major wine town has a “Maison du Vin” which can provide information on visits to a château. If you are touring on your own be sure to have all the info you need. Not all château allow visitors for tasting and buying and some only at certain times. Contact each vineyard to make an appointment. 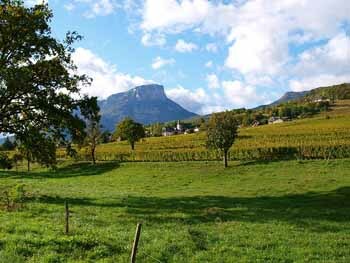 French wine regions driving tour: The Route du Vin (Wine Route) has signs posted and follows the D2 road. This French wine region is located in central France. These wines became famous throughout Europe in the 14th century. Côte de Beaune: these 2 areas meet at the town of Beaune. 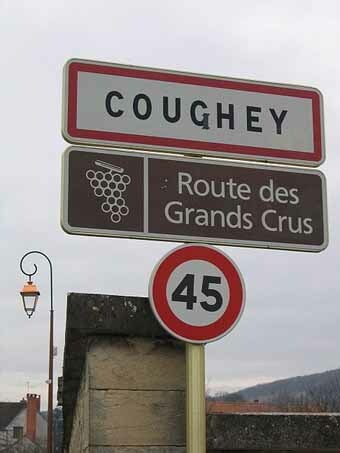 Known as the “golden” Cote d’Or, this 30 mile strip of land produces Burgundy’s best wines. For a great driving tour take the Route des Grands Crus (D122, N74). Start in Dijon through Beaune, to Santernay, or reverse the direction. While you're there, visit the Bureau Interprofessional des Vins de Bourgogne located in the city of Beaune. This French wine region is located in NE France. This is a compact region mostly in the department of Marne. Champagne was invented by the monk Dom Pérignon in the 17th century. Only wines made in this region by the “Méthode Champenois” can be called Champagne. 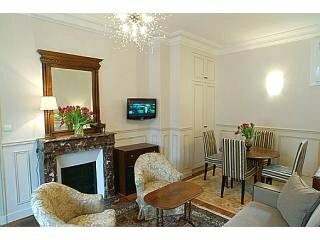 Visit or stay in the wine towns which include: Reims, Epernay, Chalons en Champagne. 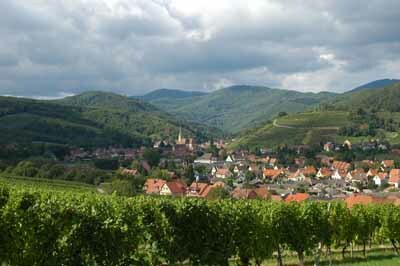 Alsace wine comes from the French wine region of Alsace located in NE France. It's a really beautiful area to explore and sample the wine. 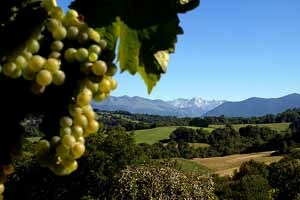 Mostly white wines are produced here: bone dry Rieslings to the sweet dessert French wine Vendanges Tardives. The Alsace Route des Vins is a 130 mi (200km) strip from Molsheim to Guebwiller where there are 50 grands crus vineyards. Most independent producers (sell wine from grapes grown in their own vineyards) offer tours and tastings. You’ll see signs along the road. For wine fairs and festival information ask at the Maison du Vin in Colmar. Good rather than great wine. The majority of the wine is dry and sweet white wine but also reds, summer roses, sparking wine. Located in the south of France on the Mediterranean Produces most of France’s table wine (vin de table quality) However new wine appellations are appearing using new technology to revive the heritage of better wines. 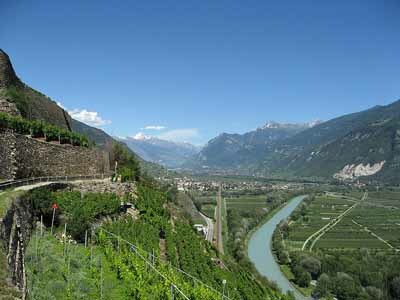 Located in the Rhône river valley which stretches from the Alps to the Mediterrean. Top quality: Châteauneuf-du-Pape (in the south near Avignon). The finest wine in the Rhone region. Cote Rôtie in the northern Rhône Hermitage vineyards are on beautiful steep slopes. Middle: Côte du Rhône Village. 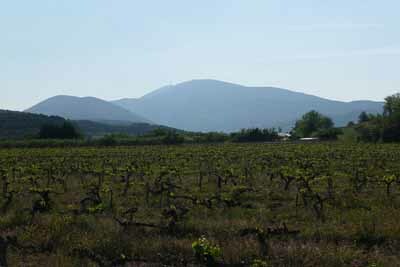 Beautiful villages to explore Cheaper: Côte du Rhône – provides most of the wine. Check out the wine festivals: Fête de la Véraison in August when the grapes ripen. Ban des Vendanges in September when the grapes are harvested. Small range in the mountains close to Switzerland. 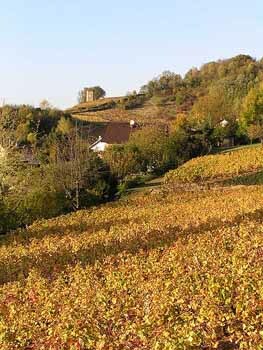 6 growing areas with a similar climate to Burgundy. Small range in the alps close to Switzerland. South of Bordeaux and inland.